Today I have an absolute FABULOUS recipe for you. These are absolutely delightful. A perfect taste to bring in the warmer weather in a light chewy cookie. 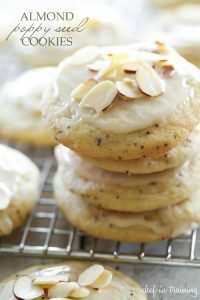 They are adapted from my Lemon Cookies (which have been deemed the BEST Lemon Cookies by almost all who have tried them- you may want to check those out) and this was such a fun and yummy spin. These cookies are light, chewy and have a delicious flavor! 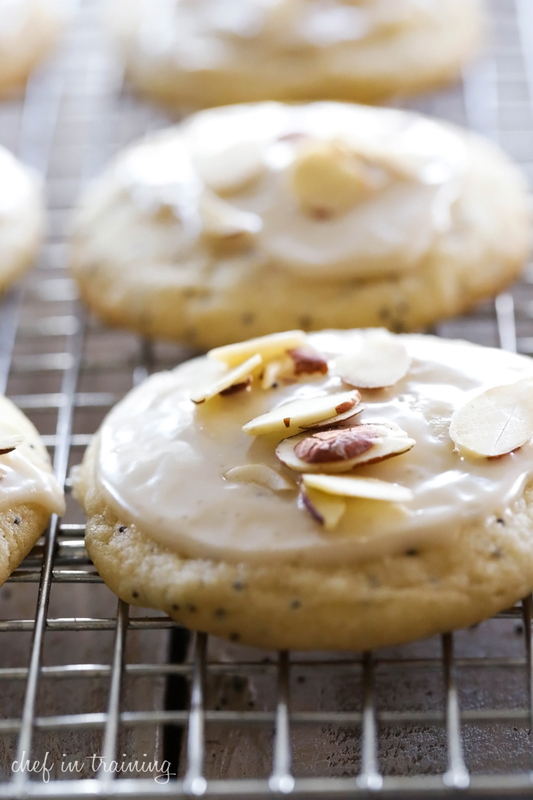 Add almond extract, vanilla, and Poppy Seeds and mix until well blended. Combine glaze ingredients in a medium bowl and whisk until smooth glaze is formed. 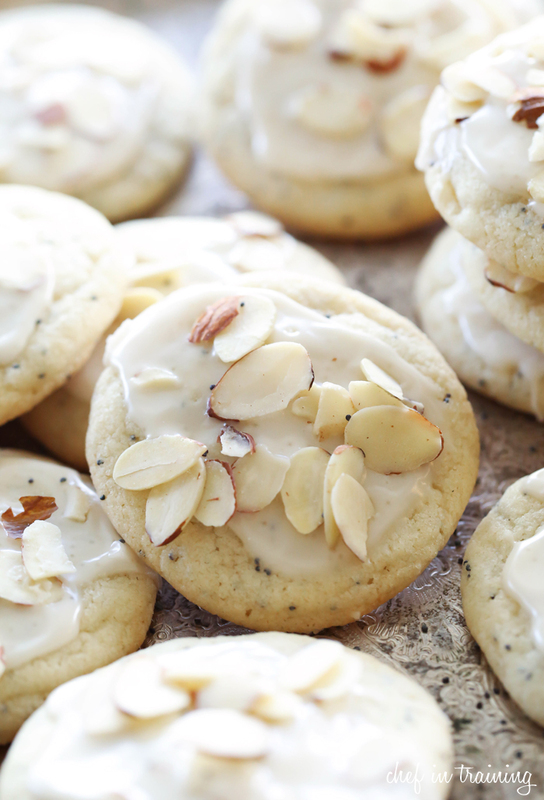 Drizzle as much as desired over slightly warmed cookies and ganish with almonds. These cookies look beautiful. I'd love to lick the icing off the cookie before stuffing it in my mouth. Such a pretty cookie and perfect for spring! Thank you for the recipe! This made 36, and I was pleased that the icing quantity was just right for the amount of cookies! My chocolate chip cookie monsters absolutely loved the change! Thanks again!